The NASH HOUSE MUSEUM, a historic home located at 157 E.William Street (lot # 635 old lot #18) was built for Thomas and Mina Slattery. Thomas worked as a clerk for the railroad and Mina was a seamstress. The young couple moved into their new seven room brick Italianate home in 1878 with their two year old daughter Minnie Angeline. The following year their son William Henry was born and two years later they had another son, John Thomas. The house must have been a lively place with a young family with three children under the age of five! In 1882 Mina gave birth to her fourth child, a daughter, Sarah Mariah. Sadly, two weeks later Mina died. Baby Sarah lived for seventeen days. 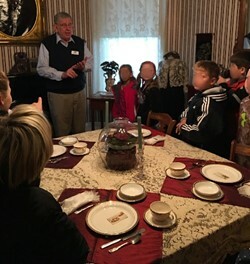 The funerals took place in the parlor of the house. Heartbroken, Thomas Slattery sold the house (for $2800). The next year his two year old son, John Thomas, died. Thomas Slattery died one year later of consumption, leaving his two young children, Minnie and Willie parentless. The children grew up with their grandparents, John and Mary Slattery in Lewis Center. Willie eventually moved to Kansas and Minnie married Robert Parker. Many people in Delaware remember Dr. George Parker, a well loved Delaware physician who died in 1996. He was one of ten children of Minnie and Robert Parker. In 1885 William Henry Nash acquired the house at 157 E. William for $2400. Henry Nash worked, as so many people in Delaware did, for the railroad. Henry and Emiline Nash had five children: Frank, Charles, Linnie, Eugene and Dora, ages 11 to 22. The Nash House must have been a very busy household! Frank, the eldest child also worked for the railroad. He was killed at Springfield, OH when a huge icicle fell from a water tank stabbing him in the chest. He died instantly. His funeral was also held in the parlor of the Nash House. He left a wife and a seven month old daughter. After the deaths of Henry and Emiline, the house passed to Eugene Nash and his wife Lois. Eugene was a grocer and a well known active Delaware citizen. Lois was a well known seamstress. 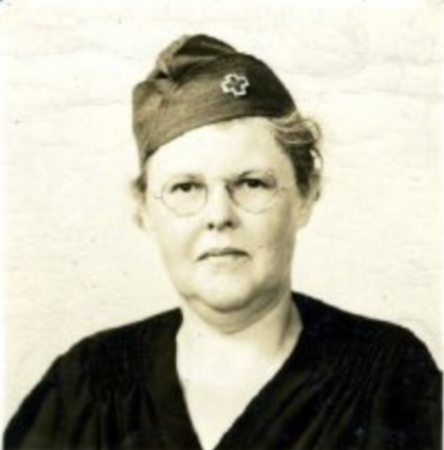 They had one child, a daughter Pauline who was recognized for her weaving and quilting skills. Her grade school water colors are displayed throughout the house. Pauline was active with the Red Cross. 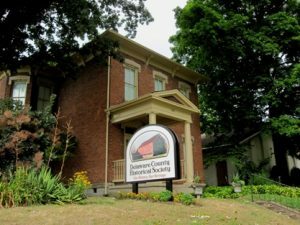 After the death of her parents, Pauline donated her family home and many family artifacts to The Delaware County Historical Society. Although Pauline had never married or had children, she loved children and hoped her family home could be used for educational purposes. The Nash family had lived in the house for nearly 70 years. The Nash House remains much the same as it was when the young Slattery family first lived here in 1878. There have been the obvious electrical, heating and plumbing upgrades over the years, but the “bones” of the house remain original. The front porch was added after 1916 and a bathroom addition and a kitchen remodel were completed in the 1930’s. The house does show signs of normal wear and tear. If you look closely, you can see the scars in the doorways made by Linnie Nash’s wheelchair (Linnie was left an invalid after a severe bout with scarlet fever). 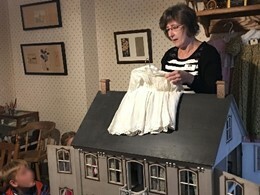 The Nash House is furnished with period pieces and accessories donated to the Historical Society by Delaware County families. These furnishings and the reproduction wall paper make the house a showcase of the Victorian period.